In many areas in South Africa, the typical house size is 36sqm. They are often occupied by many people. The Ackerman Foundation Pick n Pay 36sqm Challenge was to find solutions to maximise space and increase comfort in small homes. As joint winners with Aram Lello, we were given two projects as prototypes to put each design to test. For this renovation project, we used Aram’s idea for the mobile space to improve a 40 year old house. 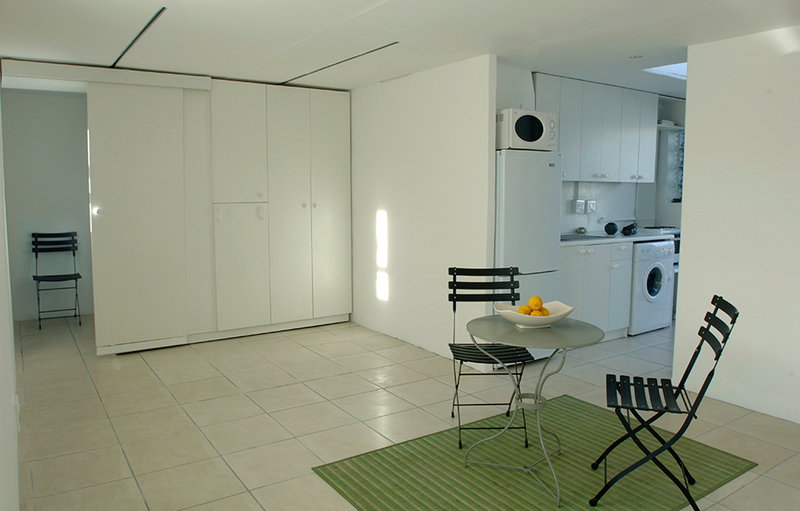 A family of 10 lived in a confined and cramped 60sqm space. We collaborated on the design, detailing and execution of this concept. 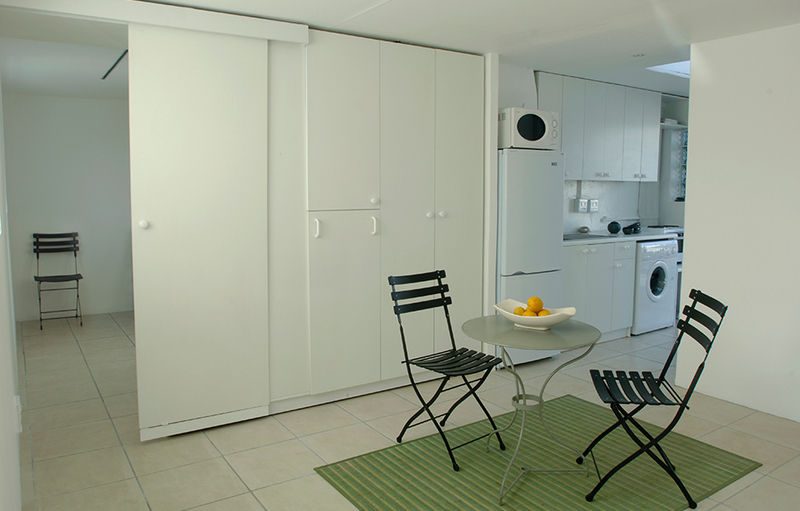 Using mobile cupboards and fold-up beds, the spaces can retract and expand according to the needs of the family. During the day, bedrooms are the used least. By folding up the beds and pushing back the mobile cupboards, more space can be created for the space to be used as a lounge during the day. In the evening, the bedrooms expand to allow the beds to fold down, and the unoccupied lounge becomes the smaller space.